Increase your frequency of meals – Your aim of eating should be to consume 500 more calories than you are able to burn. This would help you put on around one kg in two weeks. One of the ways to manage this is to have, along with the three major meals of lunch, dinner and breakfast, two or three in-between snacks. Have foods that are rich in nutrients – Whole grains, nuts, fruits, vegetables, dairy products and avocados are some very good choices. This does not mean that you can start gorging on chips, candy, pastries and white bread products such as pizza. Your weight gain aim should be focused on healthy weight gain and not just be piling on fat in your body. Have calorie-dense juices – High- calorie juices are much healthier than your fizzy soda drinks. If you are one of those people who are unable to consume enough calories for weight gain through solid food, these juices can really help. You can have juices in-between your meals to increase the caloric count of the meal. With four glasses of juices daily, you can add more than a hundred calories every day. Calorie-rich snacks – Low fat cheese, dried fruits, peanut butter, nuts and avocados are some very nutritious snacks that you can have between meals. You can even include a bedtime snack to your eating schedule. This should not be something heavy. Sliced veggies, oatmeal with whole milk and peanut butter sandwich can be had. Full- fat dairy – You can even consider having full cream milk for gaining weight. Whether it is suitable for you or not depends on how capable your digestive system is. The advantage with dairy products is that they provide all-in-one source of nutrition. Important nutrients such as protein, calcium and vitamin D give you enough calories required for the comprehensive development of the body. Consume dairy products - One of the most effective ways in which you can gain weight if you are underweight is by consuming full-fat dairy products such as cheese, whole milk, protein and nutrients such as vitamin D and calcium. You may top baked potatoes with full-fat cheese, drink whole milk instead of low-fat milk and consume ice cream instead of non-fat frozen yoghurt. If you are underweight and have high blood pressure or cholesterol, and low-fat powdered milk to soups, smoothies and sauces. Savour seeds and nuts - Seeds and nuts are dense in calories. They provide valuable amounts of healthy unsaturated fats, fibre and protein. Top bread, whole grain crackers and banana slices with almond or peanut butter to add more calories and nutrients into your diet. Seeds and nuts are also side additions to cereal, salads, yoghurt, smoothies and stir-fry dishes. Cook food with healthy oils - Make sure that you use healthy oils such as canola and olive oil in your diet to provide your body with healthy nutrients and fats. You may modify recipes to incorporate healthy forms of oil as doing so may help promote weight gain in a healthy manner. Instead of grilling or baking chicken, vegetables or other food options with the help of non-stick cooking spray, sauté or grill food in oil. You may also add plant based oils to marinade for poultry, meat, fish and tofu. If you like steamed vegetables, add vinegar and olive oil as a topping. Healthy weight gain for some is as difficult as weight loss is for others. To gain one pound in a week, a person needs 3500 additional calories. The key to gaining weight is not just gaining weight but gaining healthy weight. Therefore, one must keep in mind healthy foods that are dense in nutrients when thinking of gaining weight. For better and quick results, seek the guidance of a qualified professional. 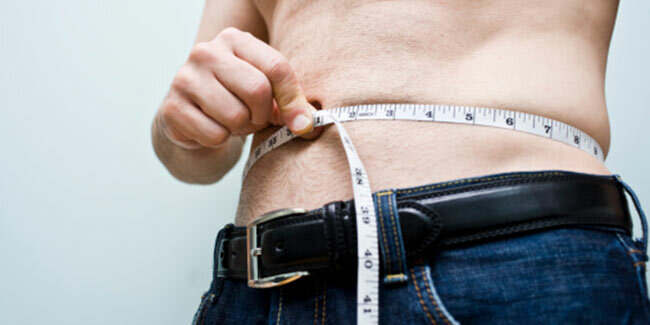 Here are some ways in which you can gain weight. If you follow the eating tips given above and complete your regular exercise schedule, weight gain would be easier. Try to find foods that are pleasing to your palate as that would make the task of gaining weight fun.